In June 2018, Docubox Project Manager Emily Wanja, and farmer, community leader, and climate change activist Kisilu Musya, featured in the film Thank You For The Rain, talked to us about inspiring farming communities through filmmaking. Click here for more information about this CJRF grant. Emily Wanja: To create compelling stories, observational documentaries, that are character driven that can cause an impact, and in effect, cause change in societies, especially in East Africa. Emily Wanja: To empower communities to be more resilient and to engage in activities that will help them in climate change adaptation. These range from tangibles such as dams or irrigation projects, but most importantly, knowledge. The reason that knowledge is so key is because long after we’ve come and gone, we know that they can use [knowledge] to be completely self-sustaining and empower themselves. To us, the climate might change tomorrow, and climate change might get worse with time, but if they know how to adapt to it and to navigate through other economic projects, then they are empowered. Kisilu Musya: I feel very comfortable sharing the film with people as a way of sharing my experience. It is a way of making sure every community gets to understand about the climate challenges that communities are facing. It is about making sure information is passed from one corner to another corner of the world. Emily Wanja: The film cuts across farmers, organizations, governments, and corporations. Through Kisilu, who stars in the film, he has been able to represent grassroots communities all the way to COP21 and more recently in Bonn. The fact that you use a film, which is not conventional for a lot of organizations, that’s already unique. For us as filmmakers, we have also had to realize the film is even more powerful if you work in partnerships with other organizations in the field. Emily Wanja: If we are able to spread awareness to urban audiences, if we are able to create conversations that are going lead to actual results and tangibles in the government and with other stakeholders and policy makers, for us that is success. This is informed and led by some of the needs that the community members themselves have tabled. We learned early on that you can’t walk in there and assume what people want. They have to tell you and they have to want it themselves. Through the community, if we are able to achieve things such as knowledge and empower them to demand some of these things, that is success. Kisilu Musya: One thing that I am looking forward to seeing is change of mindset of both the community and government at all levels. The community must understand the precautions needed in their daily practices. On the side of government, both county and national government should understand and take responsibility for supporting the community. Emily Wanja: The first projects that we granted are just about to hit the festivals and be released. 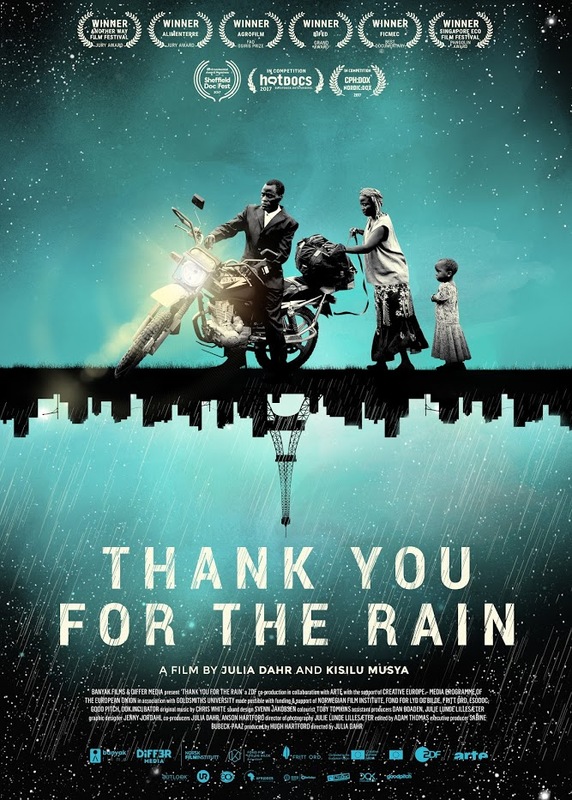 But more than that, with this film [Thank You For The Rain], we see how you can use a film in collaboration with other organizations or other partners to create and achieve a real impact. It’s not just any other documentary; this is part of us changing lives, changing behaviors, and starting certain discussions and conversations that we haven’t had before on this side of the world. CJRF: When you work in your community and talk to people about climate change, how do you get them to listen to what you’re trying to say? Kisilu Musya: Communicating in my home area is very easy. It is all about the basic needs and relating these needs to climate change, so they pay attention and understand the issues and what they need to do to secure their rights. I normally base my argument on pointing at climate change as a challenge to human rights. Emily Wanja: We want to empower the communities to do this for themselves. It’s a right, not a favor, that the government is doing them. Climate change is just as important as health or as when the government comes in and builds them a school. At the end of this project we want to say this community is now making demands of their county leadership and they are saying they want leaders to say what they are going to do about climate change. Different people suffer from different problems. For Kisilu, climate change is a real problem and there is no reason why it shouldn’t be on the agenda of the county and their leadership. Emily Wanja: I love the people. The people inspire me, especially the women. They have a genuine quest for solutions and information that is just so honest. Interviews have been edited for clarity and length. All pictures courtesy of Docubox.